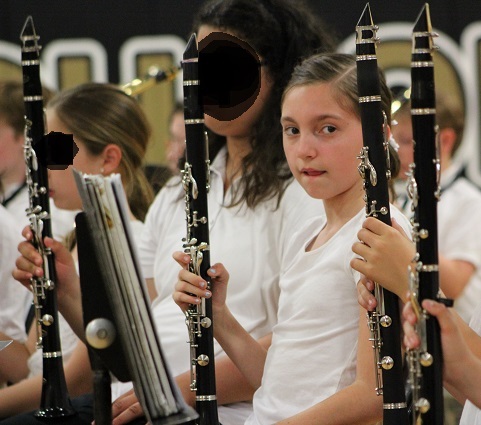 I never learned to play a musical instrument. Wait. That's not entirely true. I taught myself how to play an electric organ when I was younger. I was able to play "Silver Bells". 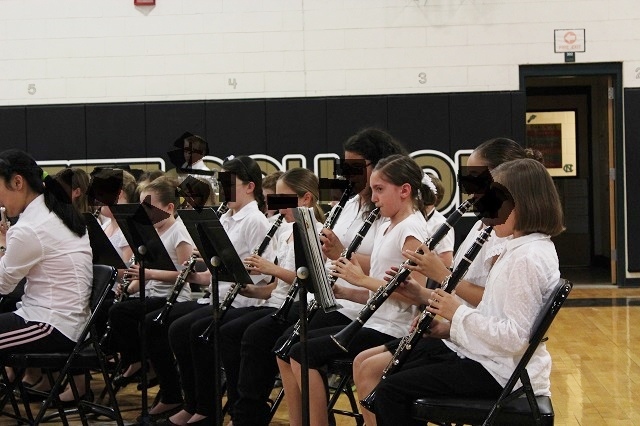 The Hubs and I were thrilled when Emma wanted to join the 5th grade band and play the clarinet. Last July, she spent 3 weeks practicing for an hour each morning with the rest of the band members. After the 3 weeks, they put on a performance to illustrate what they learned in those 3 weeks. In the winter there was another concert, and a few weeks ago, the band performed one last time in the spring performance. What a commendable performance it was. They rocked it. The crowd favorite was definitely The Beatles' "Hey, Jude". 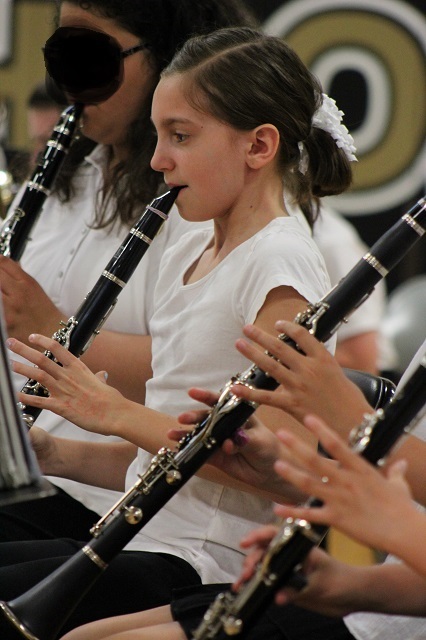 I thought I'd share a few pictures of my favorite musician performing in the spring concert. 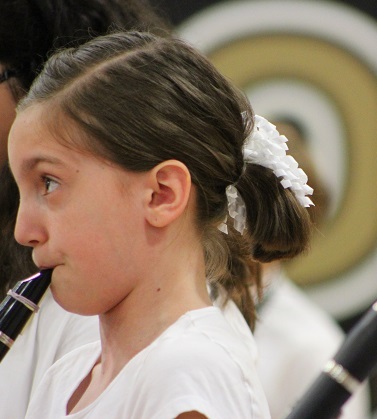 Playing a musical instrument requires discipline and utter concentration. In addition to 3 early morning practices each week that began at 7:20 am, Emma practiced at home and had a private lesson once per week. We couldn't be prouder of our favorite musician. It wasn't always an easy road, but it was worth it.